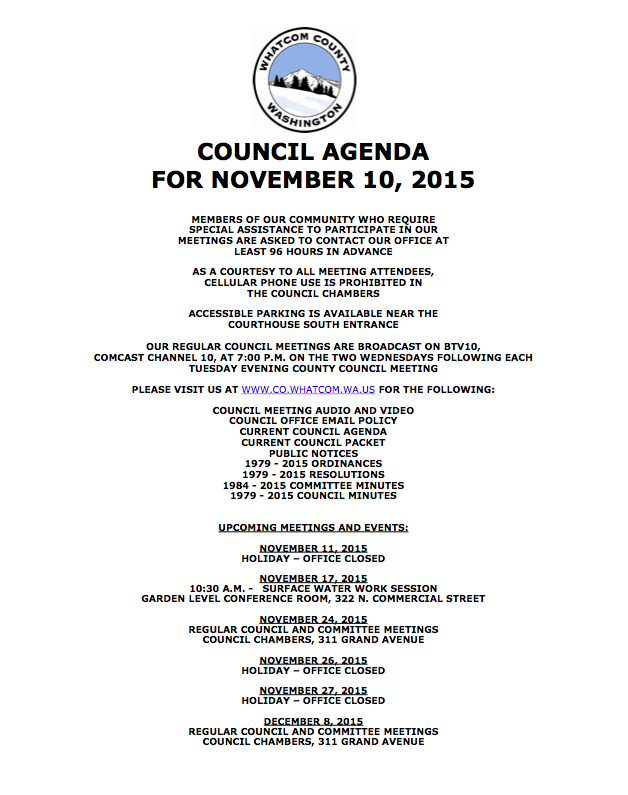 The next Whatcom County Council meeting will be held on Tuesday, November 10, 2015 at 7.p.m. This entry was posted in Blog Post, Information, Meeting and tagged ACP, Comprehensive Plan, Six-Year Water Resources Improvement Program, Whatcom Counmty Council, Whatcom County, Whatcom County 2016 Annual Construction Program, Whatcom Flood Control Zone District. Bookmark the permalink.